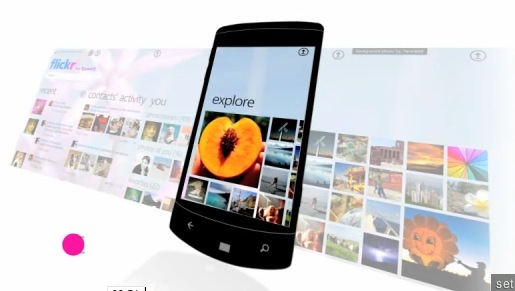 Flickr has officially announced a WP7 app, and in a word, it looks amazing. There’s a very good video at the link above, but we can’t embed it, so you’ll have to go check it out on your lonesome. If Flickr for WP7 ends up being half as good as this looks, it’ll blow all other app versions out of the water. Introducing a whole new way to share your life through your photos. Easily browse your world on Flickr in stunning high-resolution display, upload your latest images on the go and stay connected with the people who matter most to you. With Flickr for Windows 7® and Windows Phone 7®, your photos are everywhere you are. Unfortunately, it’s not quite out yet, but it shouldn’t be too long now. Flickr has also unveiled a Windows 7 version, designed specifically for tablets running the OS. I’m still bewildered why Microsoft doesn’t put WP7 on tablets, but hey, that’s just me.